About 225 vehicle thefts take place every day in the United Kingdom, according to the most recent Government statistics. Passenger cars are the single most popular target of vehicle theft because they are relatively easy to steal. 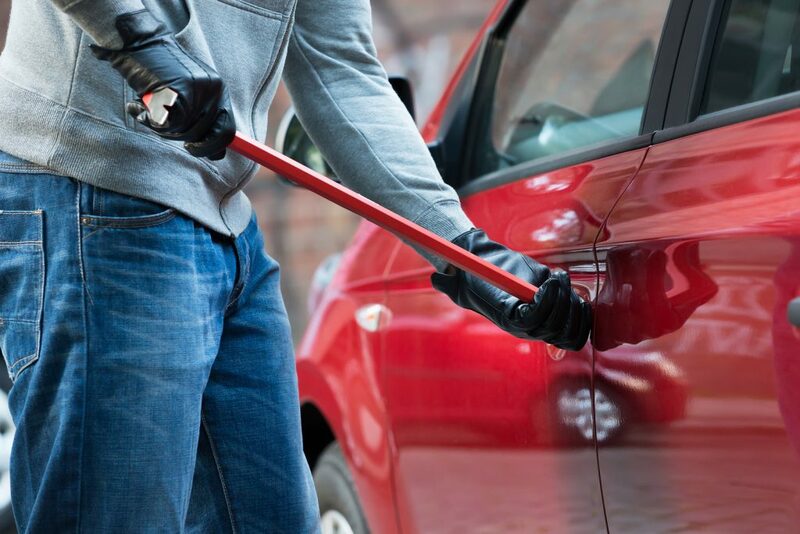 An estimated 50% of thefts that occur are down to preventable errors on the part of the owner. • Never leave your vehicle unattended with the engine running, which may also invalidate your insurance cover. A common time is in cold weather when you’ve left the car running to defrost the car. Remember a car thief only needs seconds and most vehicle theft is opportunistic. • Never leave your keys in the vehicle or ignition, even inside a locked garage. • Always close your windows, sunroof and lock the vehicle, even if it is in front of your home. Use the central locking system if you have one. • Always park in a high-traffic, well-lit area, if possible. In a car park, try and choose a space close to the main entrance and amongst other cars rather than on its own. • Consider anti-theft devices such as steering wheel locks or fuel cut-off switches. • Have your vehicle identification number (VIN) etched into each piece of glass on the vehicle as a deterrent. • Investigate the purchase of a motor vehicle alarm system if you live in a high-theft area or drive a theft-prone vehicle. Display an alarm decal near the door handle. • Copy your number plate and VIN numbers on a card and keep them on you with your driving licence. If your vehicle is stolen, police will need this information promptly. • The best thing to do is not to leave anything valuable in the car. Failing that, make sure you keep belongings hidden from view of potential thieves. • Don’t leave your spare key somewhere obvious (particularly in the car itself)! Preventing yourself being locked out may not be worth the risk of a stolen car! • Install a tracking device which uses GPS and/or wireless technology to remotely monitor your vehicle’s location. • You might also consider upgrading the security for your drive or parking space. Buying a small home CCTV system needn’t be a huge expense. Motion-activated home security lights can also put thieves off. • Don’t leave your driving licence or registration documents in the car. These could help a thief sell or dispose of your car more easily. • Make your vehicle hard to tow away by turning your wheels to the side in car parks and driveways. • If your vehicle is rear-wheel drive, back it into your driveway. Front-wheel drive vehicles should be parked front-end first. Always use your hand brake. • Prevention is always better than cure but make sure you have the best protection in place by contacting A-Plan. For further advice, please get in touch with your local A-Plan branch.